Castelsardo, a romantic medieval hamlet, was founded by the people of Genoa in 1102. It boasts a small beach and a delicacy: the “Castellanese-style lobster”. 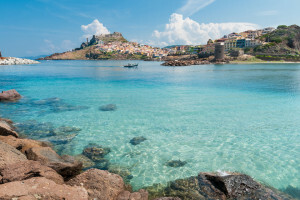 Castelsardo, in the Sassari province, is a romantic medieval hamlet which dazzles its visitors with breathtaking views of the sea that can be enjoyed from any street of the historical center. Culture and seaside fun go hand in hand for those who choose Castelsardo as their holiday destination. It is located just a few kilometers away from one of the most beautiful beaches in Northern Sardinia: Ampurias beach, in the Lu Bagnu area. 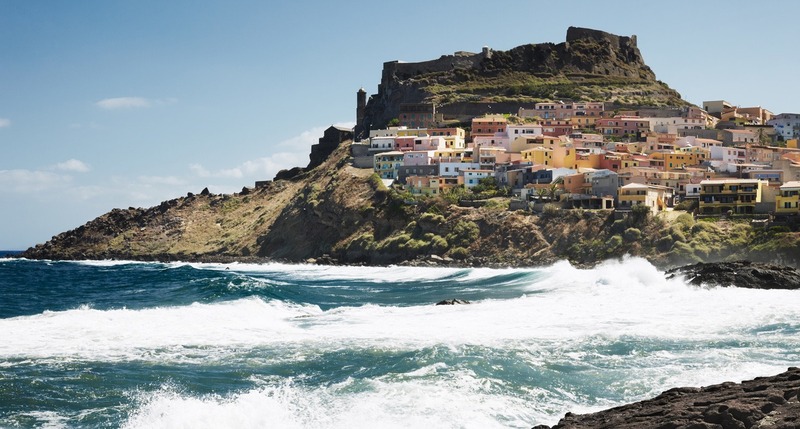 A visit to the Cathedral of Sant'Antonio Abate, with its majolica dome overlooking the sea, a picture taken at Elephant’s Rock or a fantastic lobster dinner are just a few suggestions for a weekend or a day trip to Castelsardo. For those who love typical Sardinian arts and crafts, the old basket weavers, who still weave baskets of Mediterranean dwarf palm and raffia palm sitting at the doorsteps of their homes, are an important part of Sardinian culture, and makes for great pictures to show once back home from your holiday. The town is a small Medieval jewel which uncovers an unknown Sardinia, that of the people of Genoa who came here first. The Doria family fortified their settlement and called it Castel Genovese. Today it is a perfect destination for a romantic holiday. Among the things to do in Castelsardo we recommend attending the new year’s celebrations, featuring concerts of international artists. Castelsardo’s Summer Carnival, called “Rio de Frijaneiro”, takes place during the summer and is yet another wonderful attraction of the town. During Easter, the rites of the Holy Week, called “Lunissanti”, offer visitors a charming atmosphere: the procession moves between medieval churches and ancient fraternities of Spanish origins, crosses the hamlet light up only by torches and culminates with the Procession of the Mysteries. During these religious festivities concerts are organized on the grass by the fortified walls of the hamlet, to celebrate Easter Monday. Ferragosto, an Italian summer holiday, is also celebrated in Castelsardo with live music and fireworks. 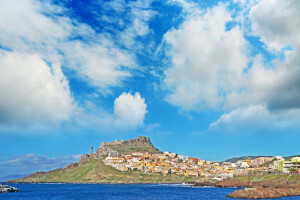 The Elephant’s Rock is among Castelsardo’s must-see attractions, located close to town. 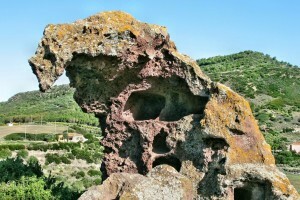 Located in Multeddu, it is a natural rock in the shape of an elephant. Inside there are the “Domus De Janas”…ancient tombs dug in the rock. The Cathedral of Sant'Antonio Abate is also worth a visit. Inside there is a wonderful altarpiece attributed to the Master of Castelsardo”, one of Sardinia’s most important paintings of Hispanic heritage. In the Church of S. Maria there is the Black Christ, or “Criltu Nieddu”, a wooden sculpture made of dark juniper wood dating back to 1300. The sculpture is carried along the procession during the Rites of the Holy Week. 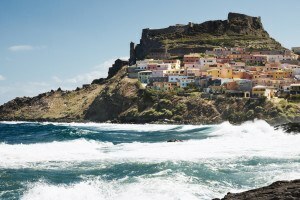 The walls of Castelsardo’s ancient fortress host the Museum of Mediterranean weaving, dedicated to the art of weaving. It features objects and artifacts from all over the Mediterranean basin. Castelsardo has its own beach under the medieval town walls, which is very popular during the summer. However, the fully fledged seaside town is the hamlet of Lu Bagnu, awarded the Bandiera Blu (Blue Flag) several times. Thin golden sand surrounded by spectacular rocks, that is what you can expect from this coast. Just a few kilometers away from Castelsardo, Ampurias beach is a gorgeous stretch of sand with creamy colored grains. Located in the hamlet of Lu Bagnu, it has been awarded the Bandiera Blu (Blue Flag) since 2011. Portu di La Rena is a small and pristine cove, also called Li Cantareddi. Covered in dark and grainy sand, it has an amazing rocky seabed with clear waters full of fish. It is shielded from the wind…a perfect heavenly shelter. Marina di Castelsardo is the town’s main beach, small and easily accessible. It boasts amazing colors and panoramic views. 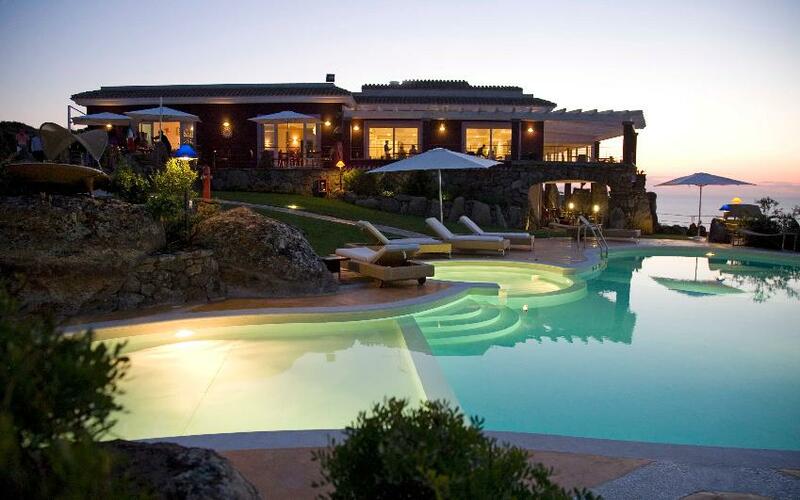 The fortified castle, the rocks that surround the sandy bay, the blue colored sea…a true postcard. The sand is thin, cream colored, and the shore is delimited by rocks. 14 Km from Castelsardo, in the municipality of Valledoria, there is the beautiful and big San Pietro a Mare beach. It is famous because here the river Coghinas flows into the sea. It is also very popular with surfing and kitesurfing lovers (you can kite-surf also in the river). This beach suits everyone, from families thanks to its kiosks equipped with beach chairs and umbrellas, to sports lovers who want to have fun and enjoy windy days. You can take a kayak tour of the river, going upstream till the spectacular valley of the Ruju mountains, where the Doria Castle stands and dominates the valley. The famous Casteldoria thermal wellness center gets its name from this castle.